Bonaire is a favorite for birdwatchers. 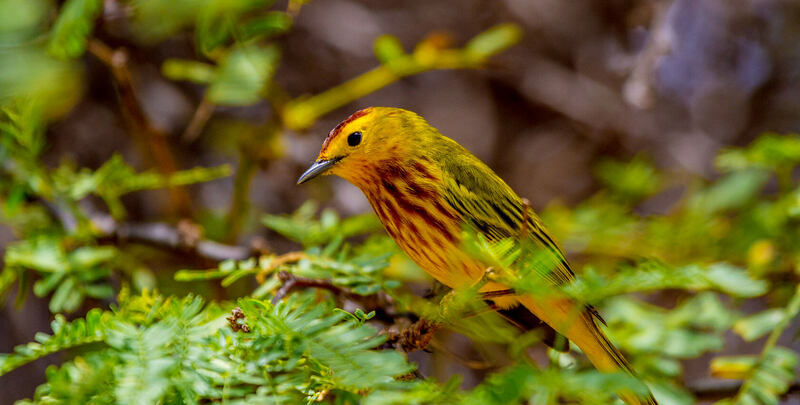 With over 200 species of birds living on the island, Washington Slagbaai National Park and Pekelmeer are two of the most popular locations to spot Bonaire’s two legged feathered friends. Bonaire’s birds can be classified into three categories: shore birds, seabirds and land birds The best place to watch Bonaire’s feathered symbol, the flamingo, is at the island’s salt ponds in the National Park, at Goto Meer or at the southern end of the island at the Pekelmeer Sanctuary. The flamingos can be seen from the road, it is important to keep your distance and not disturb the birds. The Caribbean parakeet and the yellow-shouldered parrot are two tropical birds found only on Bonaire. Bonaire is a critical breeding ground for the survival of this species. Parakeets are more numerous; they can be seen anywhere on the island where there is vegetation. The best places to see parrots are in the cactus fields of the north and in fruit-trees. The parrot is endangered with an island population of only 800 +/-. Below is a video by Echo Bonaire which specializes in parrot conservation and research. Watch the video here.